NorCal MINIS | Northern California's Premier MINI Cooper Club: 2014 MINI Cooper Hardtop "A Must-Have Vehicle"
2014 MINI Cooper Hardtop "A Must-Have Vehicle"
If that improved reliability score holds for a few years, the Mini will go on my short list of must-haves. But I’ll take a convertible, please. Need A Car Ramp To Work Under Your Vehicle? 2014 MINI Cooper Convertible Called "A Fun Ride"
Play Barbie MINI Cooper Car Wash! Why? Because We Love You! 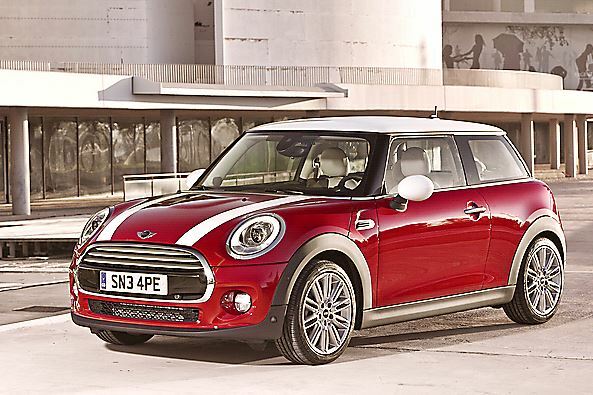 "A Passengers Guide To The MINI Countryman"
Ready For A 300 Horsepower MINI? Little Kids In The UK Can Learn To Drive MINIs! That Is Why They Built The MINI Countryman? You Think MTTS Was A Long Roundtrip, Well . . .
Get Back! I'm So Smoking Hot. I'm On Fire!